Guest posting is the best way to be a member of the well-known community of the bloggers. 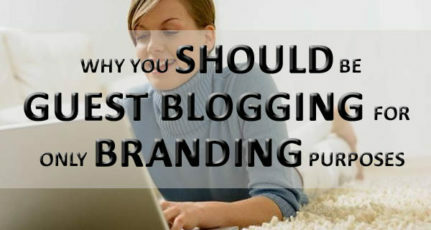 Guest post also helps the writer to have good backlinks and traffic on their blog as well. Writing a guest post in some of the popular blogs, not only puts you in the spot light but also teach you how to communicate to the other bloggers via commenting and discussions. This is my first guest post on shoutmeloud.com. 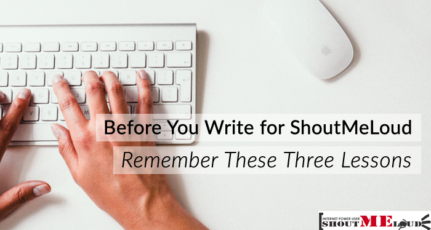 There are few things that I feel every blogger should keep in mind before writing a guest post. Firstly subscribe to that blog via email or feed readers so that you come to know whats happening on the blog on which you are going to write guest post. Read through the comments and get a feel for what content is acceptable and popular on that blog. Then submit a guest post idea that is relevant to the content of that blog. 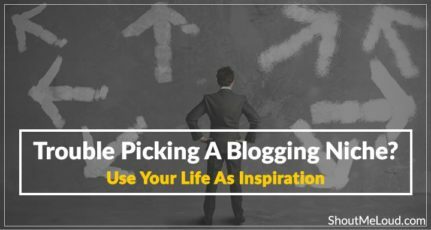 Ofcourse its your first guest post and it should contain the best content as you are not writing on your own small network but you are now in front of all the great and successful bloggers. One simple mistake can be very harmful to your blogging network. So take time give your guest post a better shape. 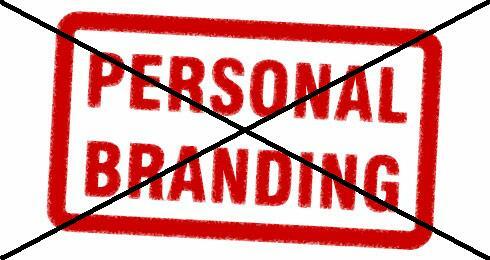 Rather promoting yourself concentrate on your content. Dont add any links that promotes your blog or website. 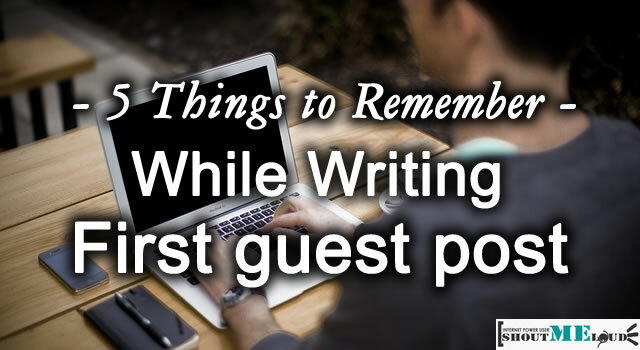 You should keep this in mind you are writing a first guest post and its very important for you. Adding too much links may result to be a spam and you may be rejected as a guest blogger. 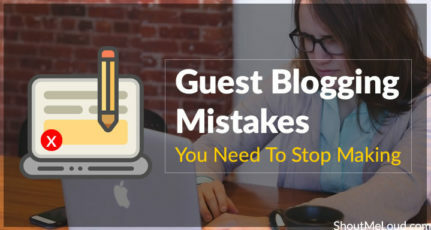 After posting a guest post people will surely visit your site for more updates about you and you have to make sure that your blog is ready for the visitors. Your blog should contain atleast that much posts and content that you can give a reason to your visitors to come everyday to your blog. You have to keep this in mind the last thing that after the approval of your guest post you have to promote the blog as well your post. Simple the more traffic on the blog , more the popularity of your post and you will get a good traffic. It’s all about to work in the community without any jealousy, selfishness and be honest. 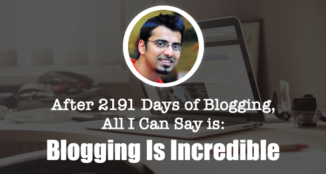 Follow these simple steps and your blog will surely got up high as you want always. Do let us know what according to you is the most important thing every guest blogger should keep in mind? Engineer by profession. 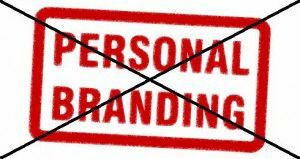 & Geek by passion..
Good tips dude & congrats on your guest post. Though one slight mistake I noticed. Do correct the shoutmeloud link 😛 you hv linked it twice. I do agree with your two points, 1. Read the blog regularly and 2. Promote the guest post. 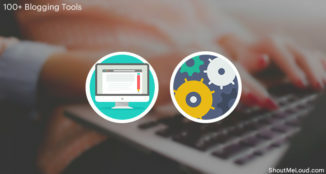 Guest Blogging is one of the effective technique for link building and traffic generation, however if done in proper way. Awesome post bro. i just agree all the points you have listed here. And i must bookmark it to share with my followers. This was a really interesting post and the timing was perfect. I have only written one guest post, and I believe it was a success (it received a lot of comments and I received some traffic from it). 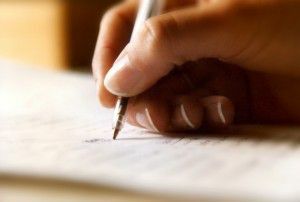 The reason why I haven’t written more than one, even though I have been blogging for a few years, is that it’s kind of scary (yes, I know, it sounds kind of stupid). The scary part is the writing, I feel that I need to be at my best, and how do I know if I’m at my best? When I write for my own blogs I don’t really care how good I feel the posts are, I just write whatever I feel like writing. As soon as I published the guest post, I was ready for the comments. I was a little scared that nobody would comment, that happens a lot at my own blog, but it would be a lot worse if it happened with a guest post, eespecially since I was writing for a blog with a lot more comments and traffic than mine. Before writing any guest post,we have to construct a good blog for coming readers! good points you have collected Mr Deepak. I will surely remember your suggestions while commenting. But I have a question to ask. How to know if any particular comment is spam or no? I had a few comments that looked relevant but then I saw the same comment on other blog. Will it effect our SERP, does the spam comments effect our authority ? First of all i would like to say thank you for sharing nice informations. i have good experience in guest posting and writing, but i have faced only one probs most blogger give approval on paid posting. 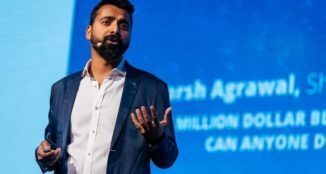 IS there any good sites or resource there where we can post our blog content with free options? Another hot tutorial @ ShoutMeLoud. Every time I read your posts I get much inspiration. I appreciate your work very much. Keep it up. Great posts and they are all spot on. Content is much more important because it keeps people coming back for more. Always keep them interested ! Need some guidelines how should i communicate to blogger should i go in personal (facebook) or should i be more professional by sending an email. It depends. If you know that person, you can contact through Facebook otherwise a professional email is definitely recommended. Hellow Sir, I first time visit your blog And Now I’m thinking why I was wasting my time in YouTube videos to know more about blogging before starting blogging b’coz Your post are more informative than that videos. Thanks sir!